Zootopia (released as Zootropolis in some European countries) is a 2016 American 3D computer-animated buddy cop comedy adventure film produced by Walt Disney Animation Studios and released by Walt Disney Pictures. It is the 55th animated feature in the Walt Disney Animated Classics series. The film is directed by Byron Howard and Rich Moore, co-directed by Jared Bush, and features the voices of Ginnifer Goodwin, Jason Bateman, Idris Elba, Jenny Slate, Nate Torrence, Tommy Chong, J. K. Simmons, Octavia Spencer, Alan Tudyk, and Shakira. 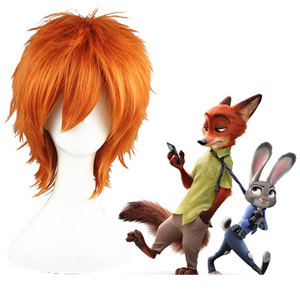 The film details the unlikely partnership between a rabbit police officer and a red fox con artist as they uncover a conspiracy that involves the disappearance of predator civilians within a mammalian metropolis.